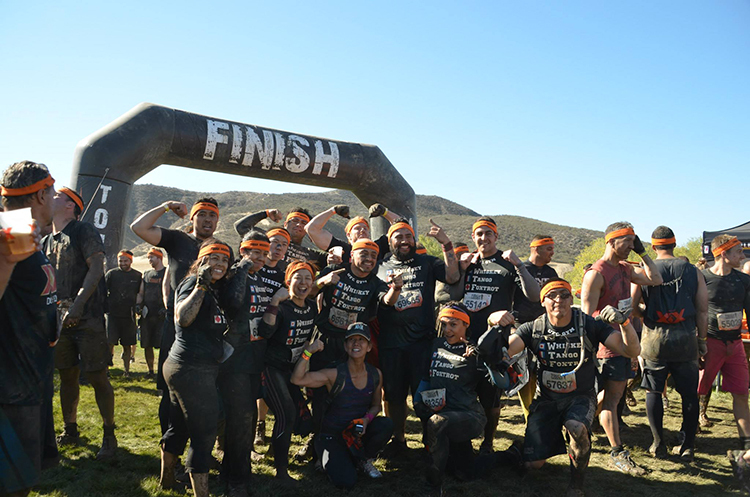 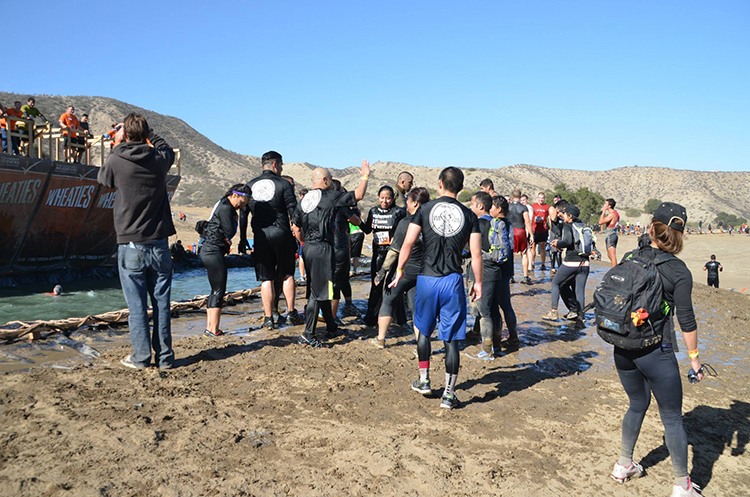 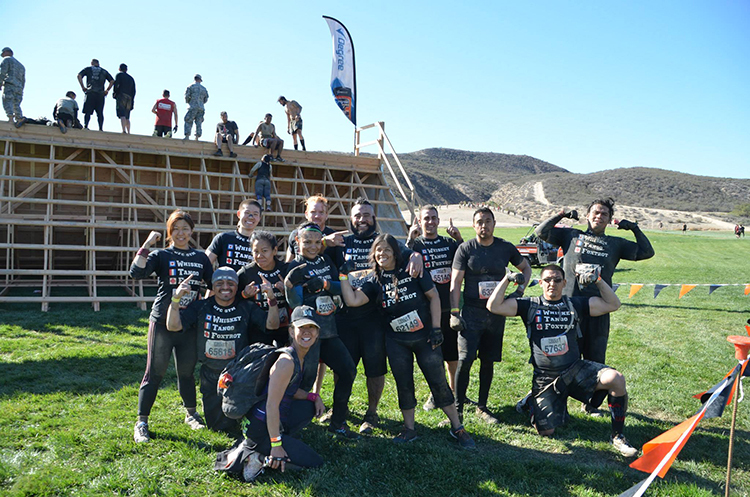 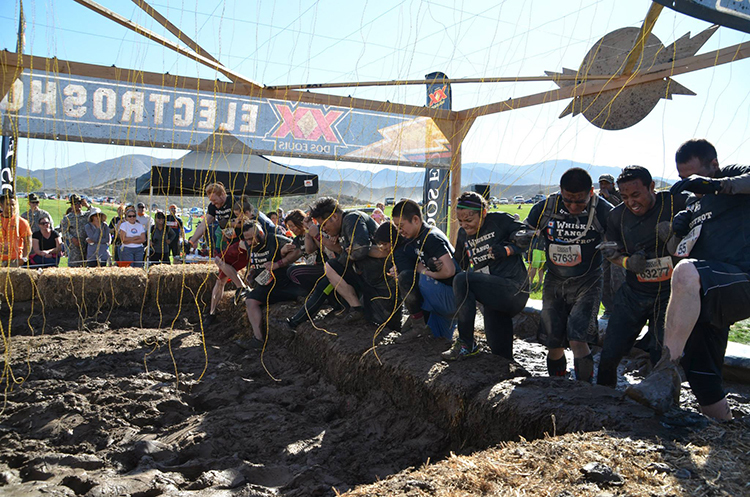 It’s been less than two weeks since the Tough Mudder event in Temecula, CA and there is still a buzz about how amazing the experience was from those who participated. 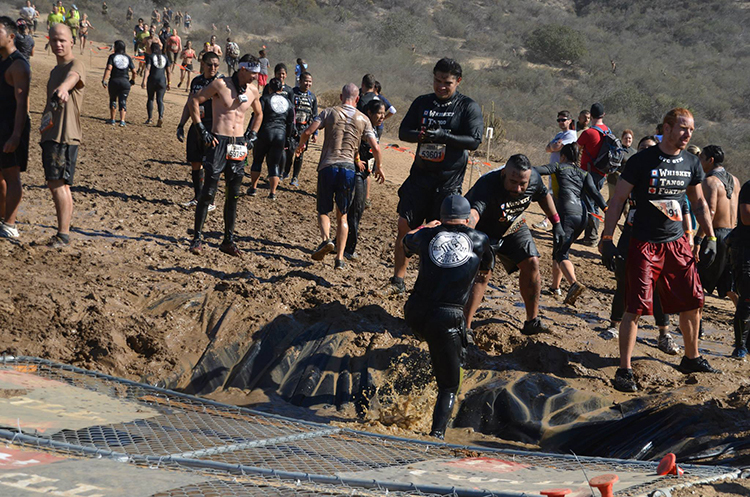 Tough Mudder events are no joke, the San Diego, CA course consisted of 20+ obstacles strategically placed over 11 miles of hilly landscape. 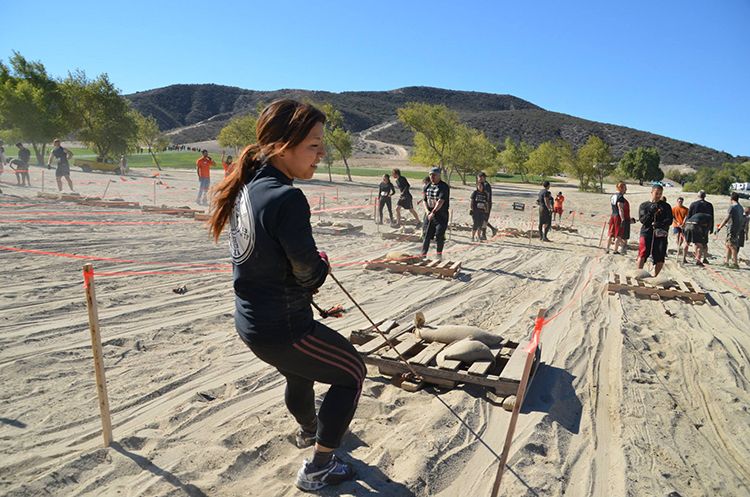 These events are meant to test participant’s all around strength, stamina, mental toughness and ability to work as a team. 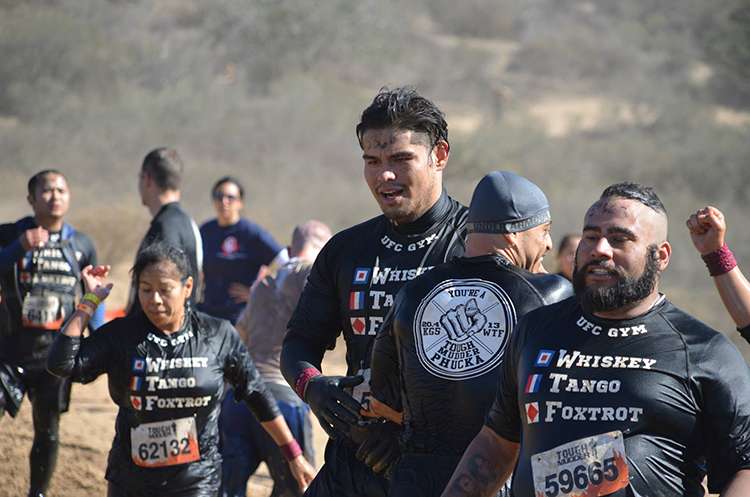 Words don’t do the event justice so here’s a video promoting the SoCal Winter stretch of Tough Mudder in San Diego. 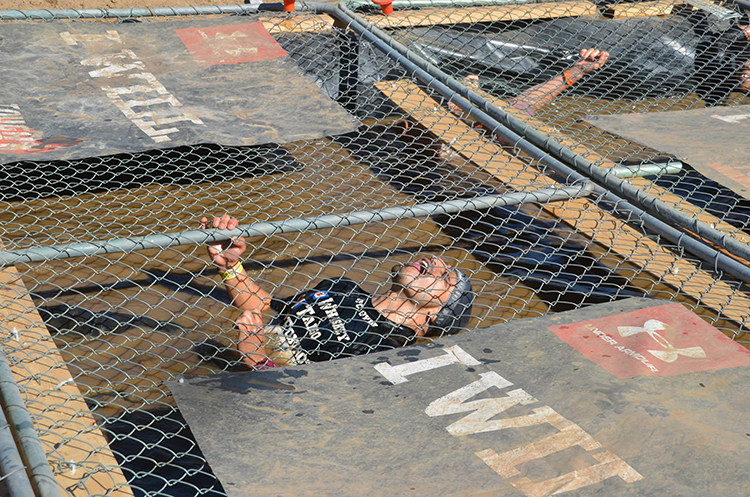 Pretty intense, right? 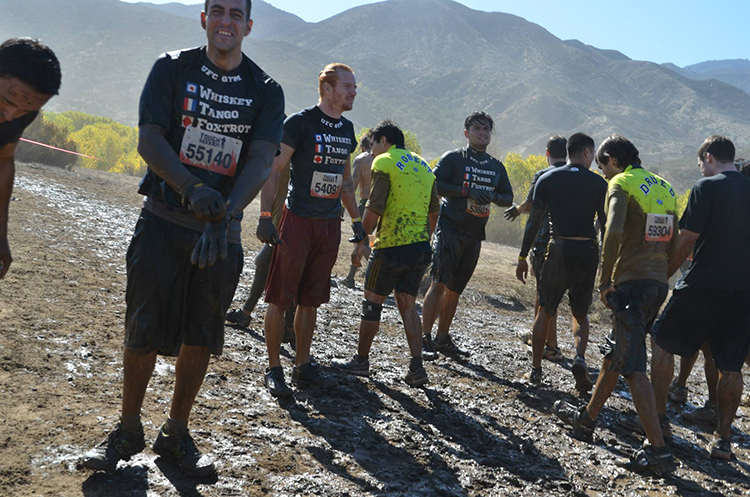 That’s probably why over one million people worldwide have participated in Tough Mudder events since 2010. 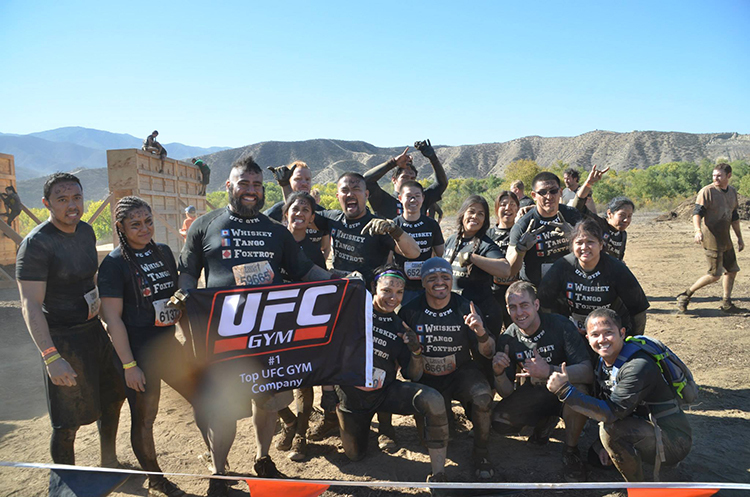 Another addition to this statistic is David, who reached out to us with a vision of uniting his fellow UFC Gym members (and future Mudders) with some performance apparel for the event. 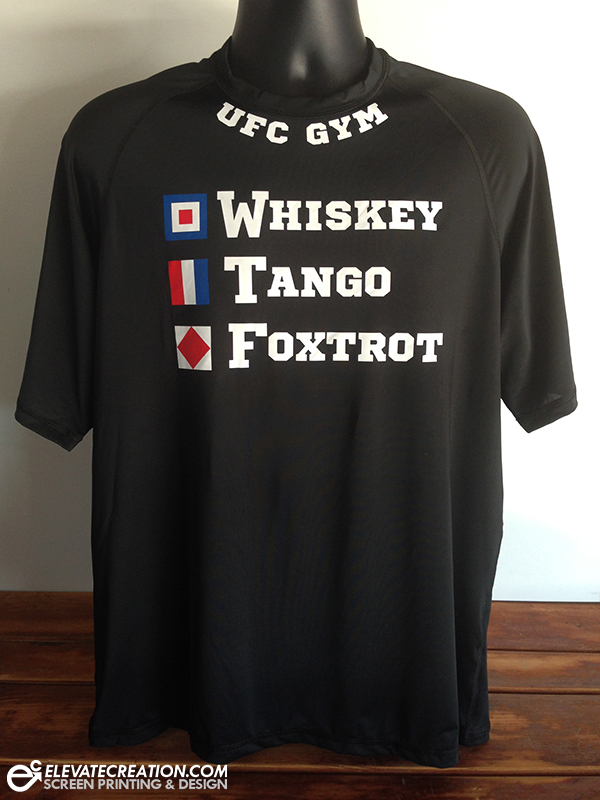 The front “Whisky, Tango, Foxtrot” design is traditional to the group and was used for these performance shirts. 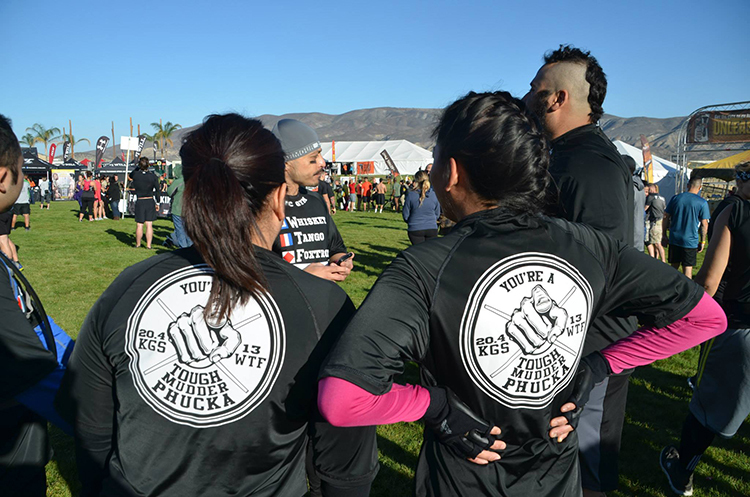 The back of the shirt was our blank canvas, we wanted to create a design that represented all the training leading up to the event and to highlight the importance of team work and camaraderie. 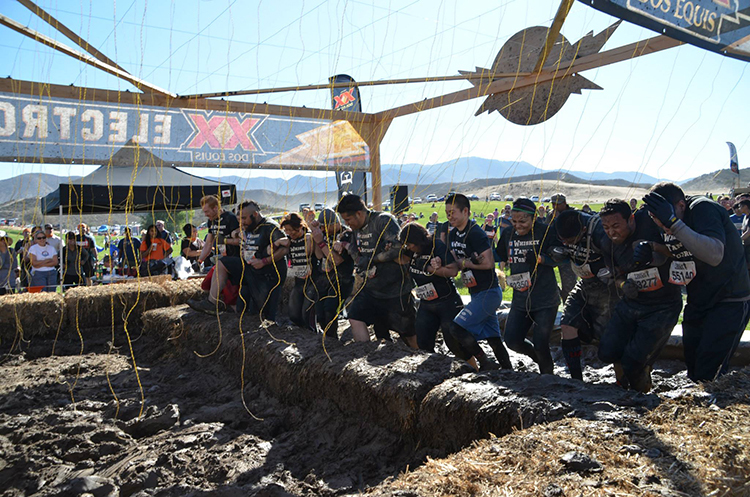 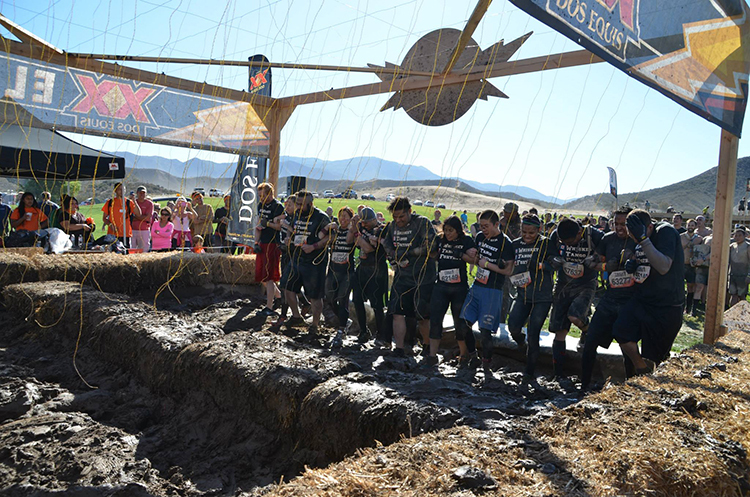 Not only would it act as motivation to their teammates but also to any Mudder following behind them on the course. 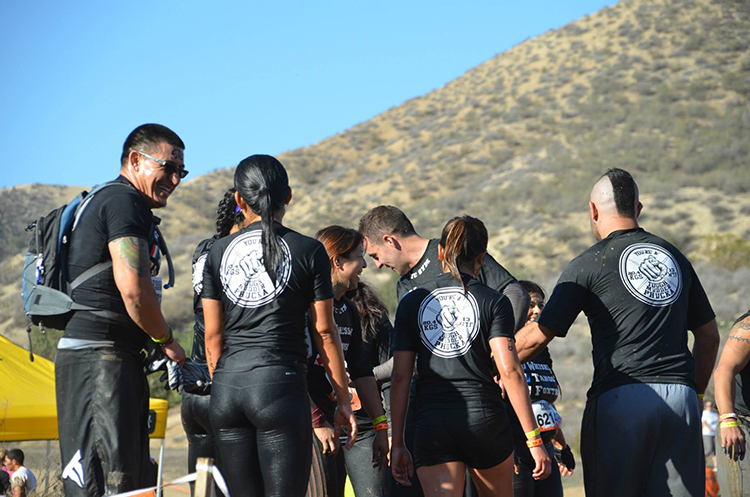 Both front and back designs were heat pressed onto A4 – 2-way Stretch Short Sleeve Performance Tees and A4 – Short Sleeve Compression Crews with a specialty stretch vinyl to limit restriction. 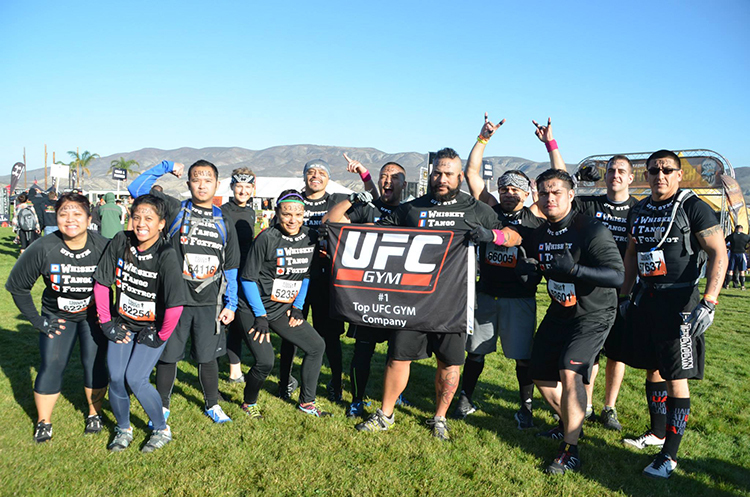 Iris Dulay was kind enough to share photos of the event with us, so here are the Tough Mudder Phuckas sporting their custom performance apparel at Tough Mudder San Diego on November 9th, 2013. 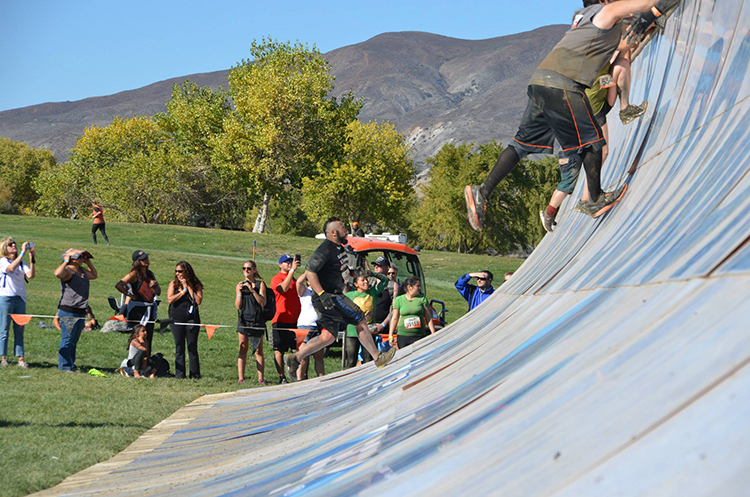 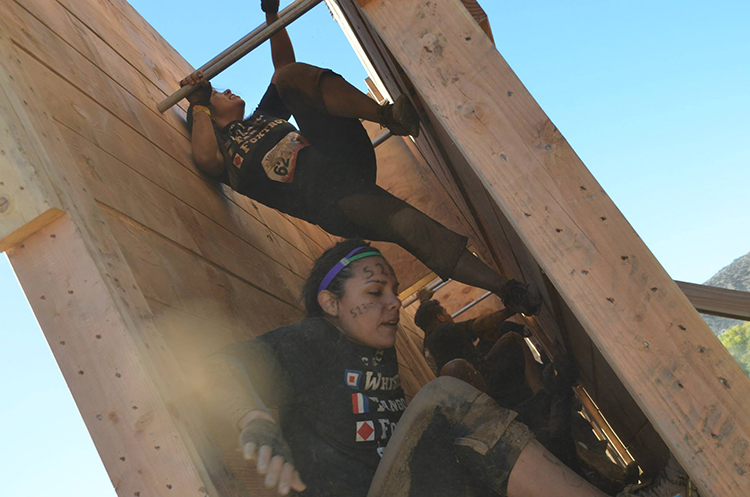 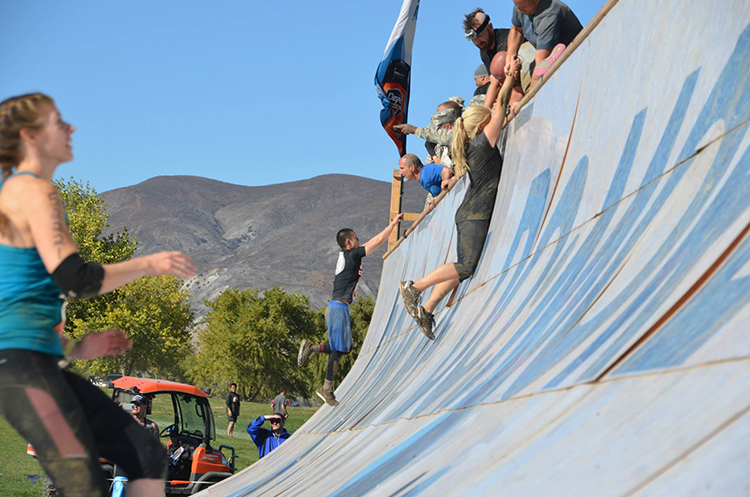 If all this Tough Mudder talk has you pumped up about participating, start training now! 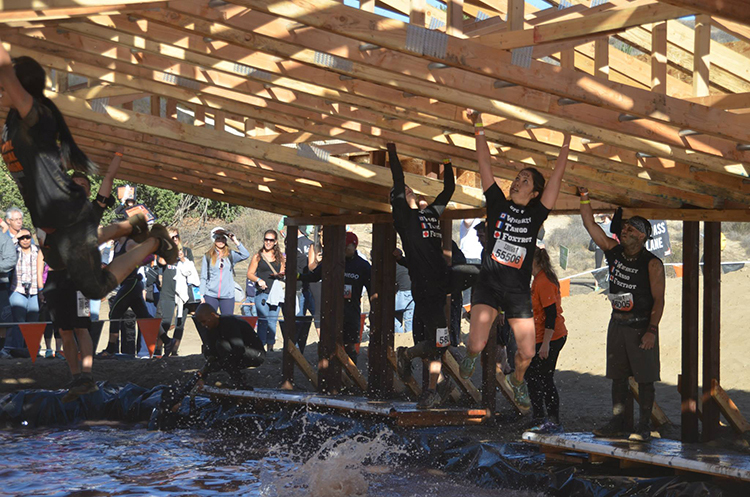 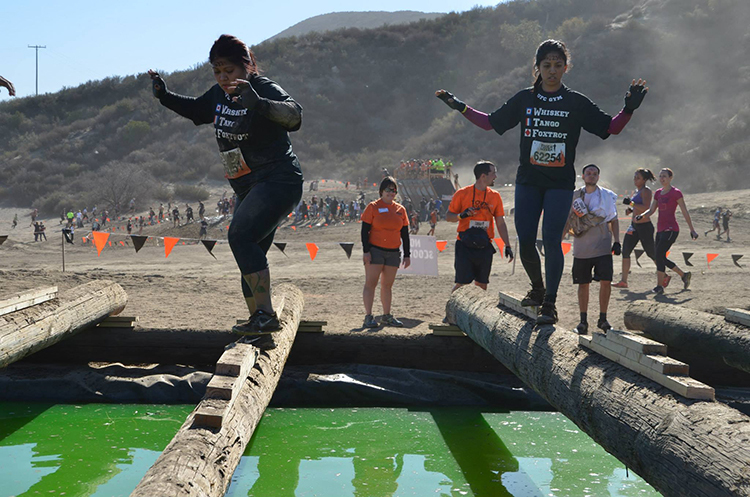 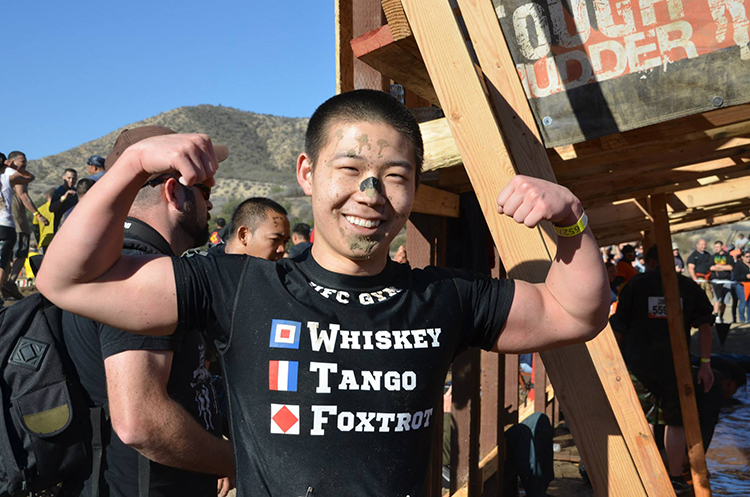 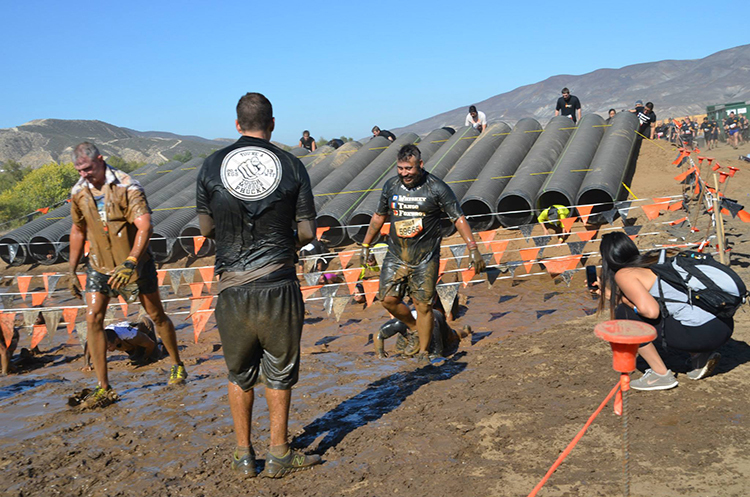 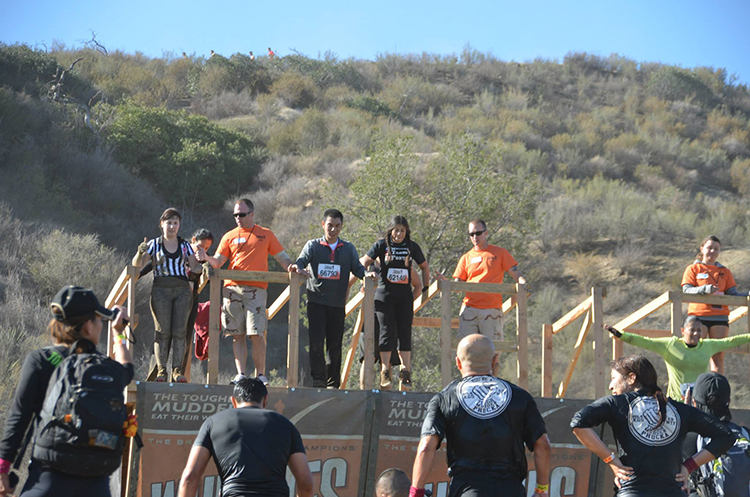 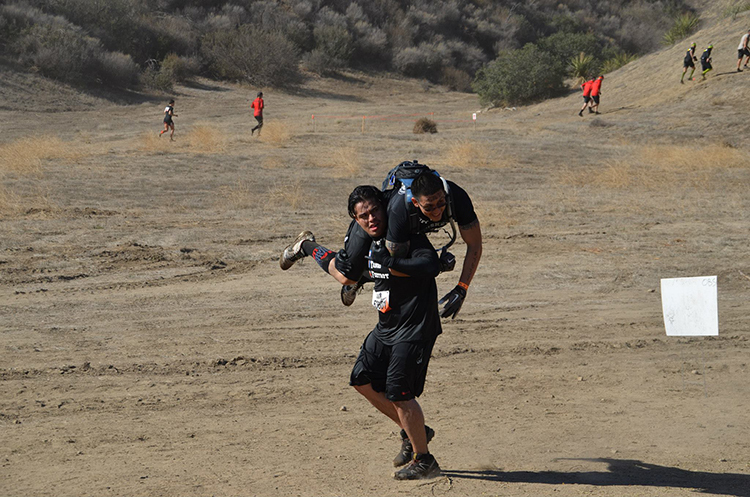 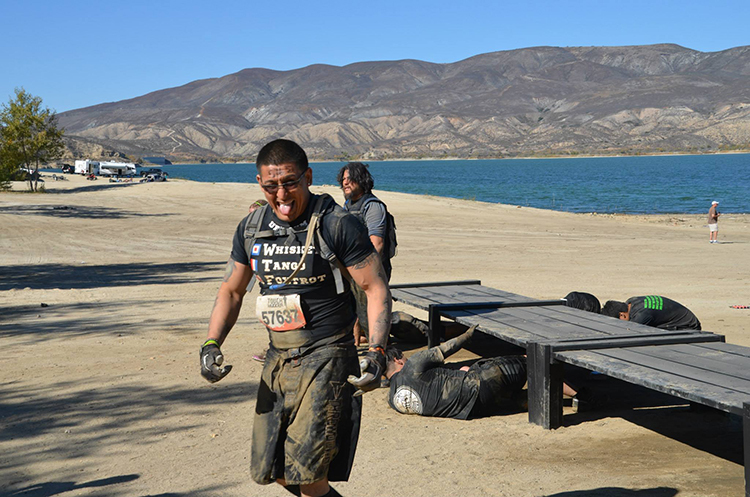 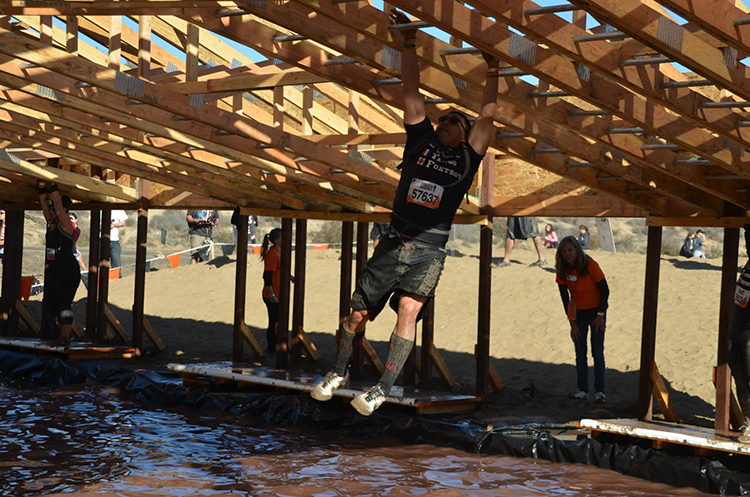 The next SoCal Tough Mudder is in Los Angeles on March 29th & 30th. 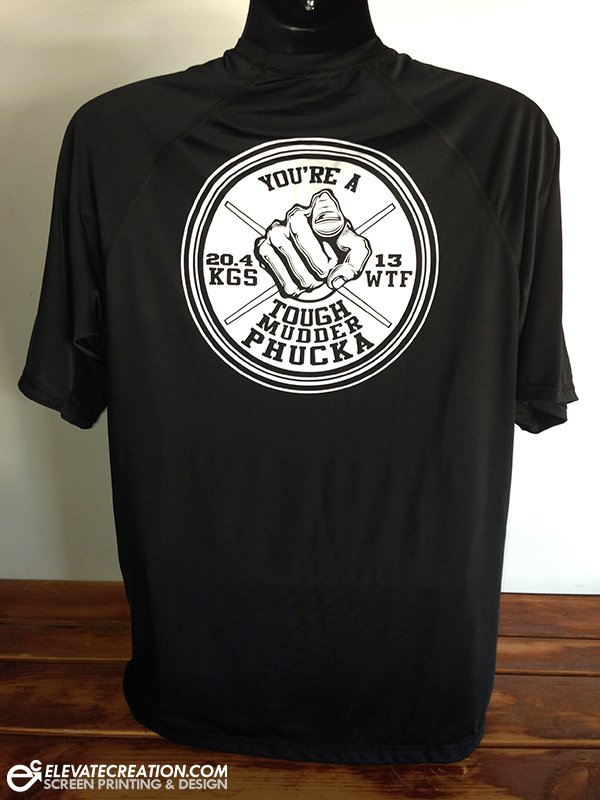 So keep us in mind for your next performance apparel project. 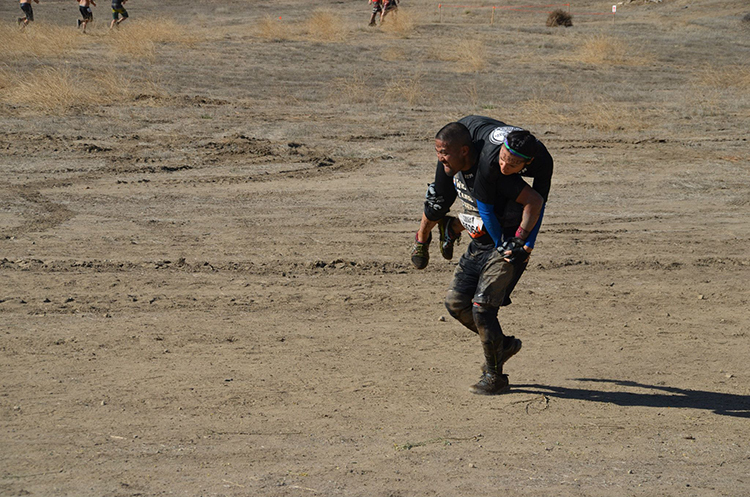 Thanks again Iris for the awesome photos and thank you David for working with us on this project. 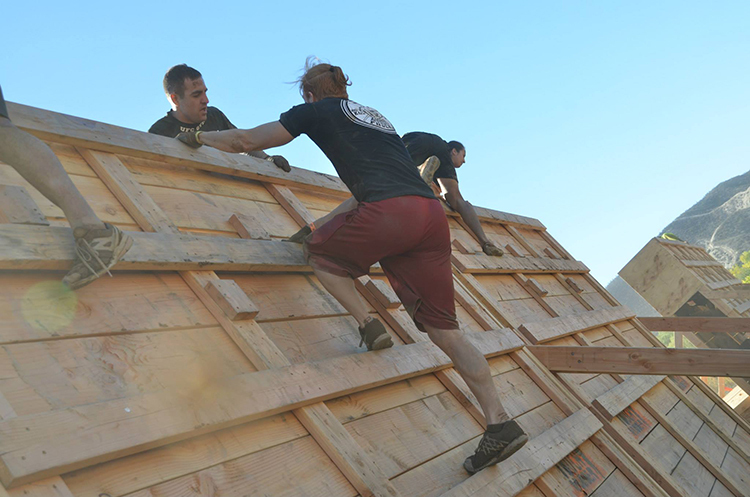 To find out what we’re working on next, like us on Facebook. 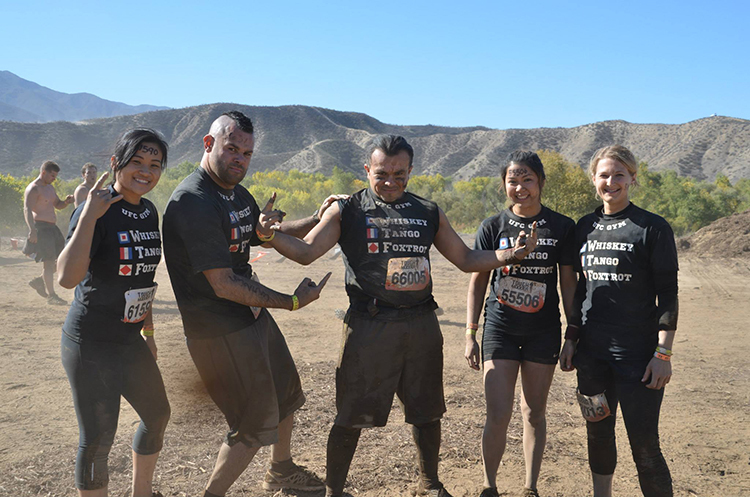 Pretty cool pictures of a Tough Mudder team and the performance shirts we pressed for them.